If you’re in Copenhagen (or planning a weekend there), you might want to check out Club Mau Mau. 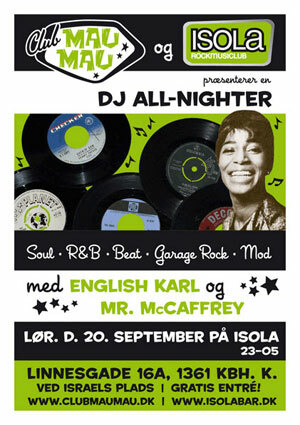 The night promises a mix of 60s beat, mod, freakbeat, garage, psych, R&B & soul floorfillers, running from 11pm until 5am. And best of all, entry os absolutely free.